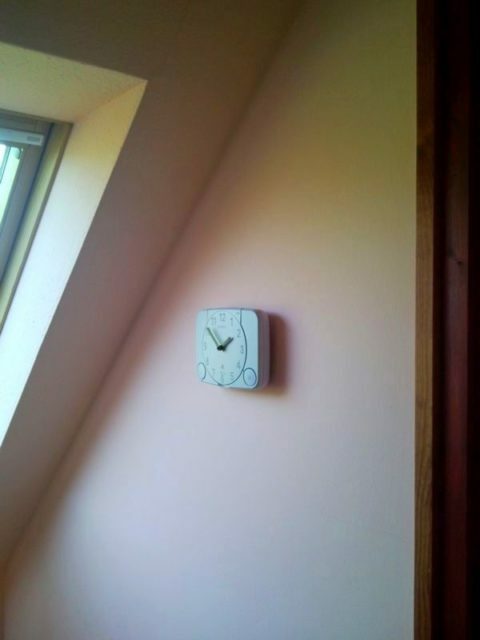 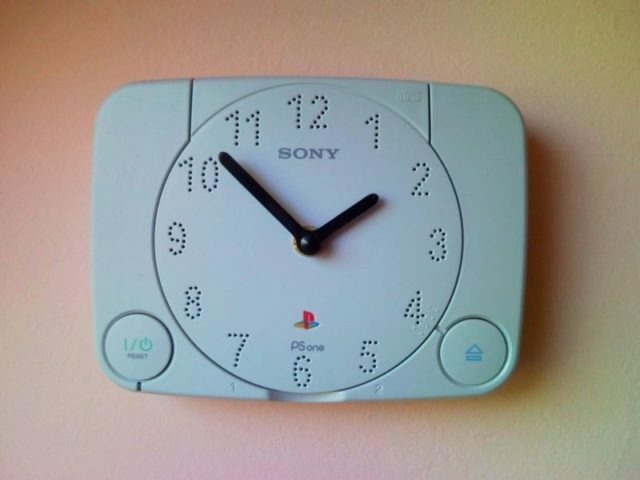 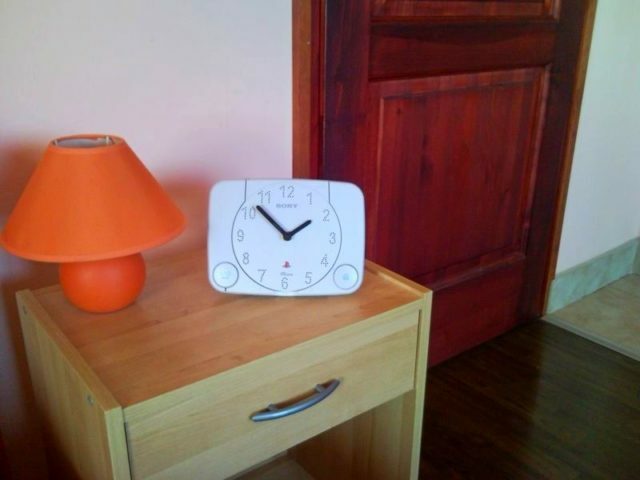 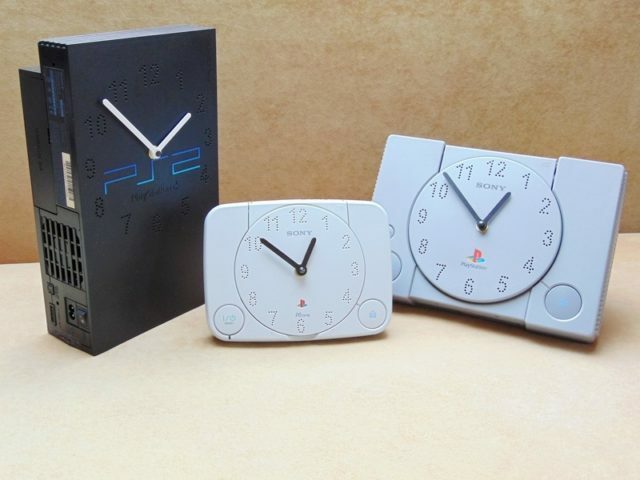 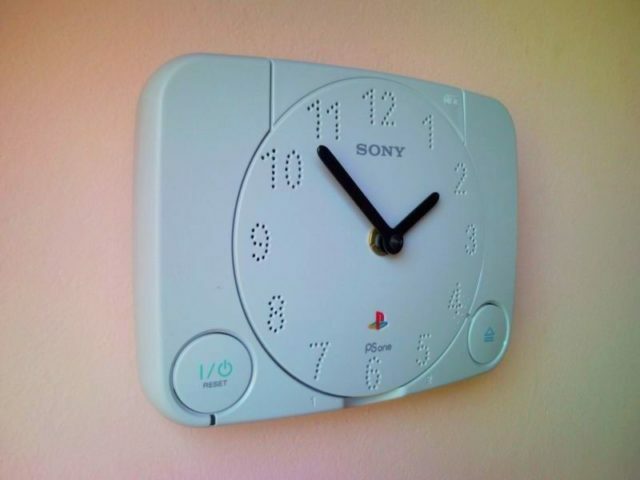 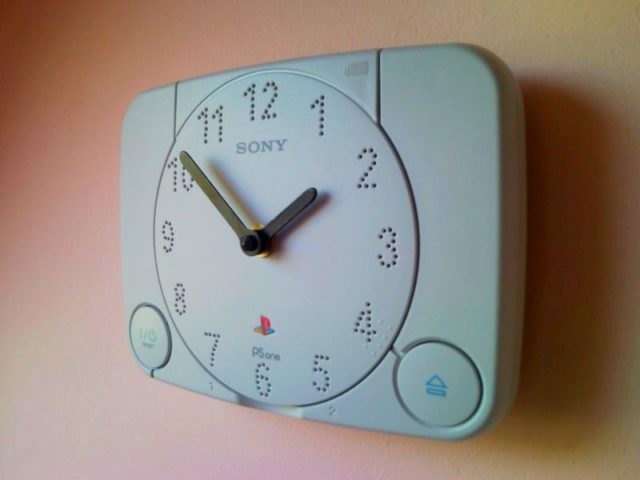 You can buy this PS1 clock in our Etsy Shop too. 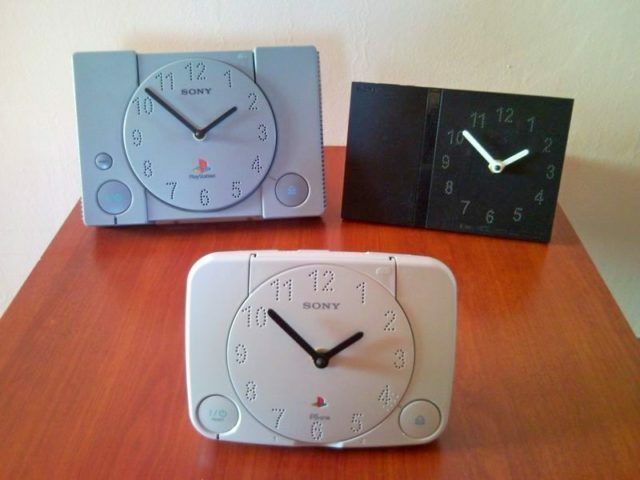 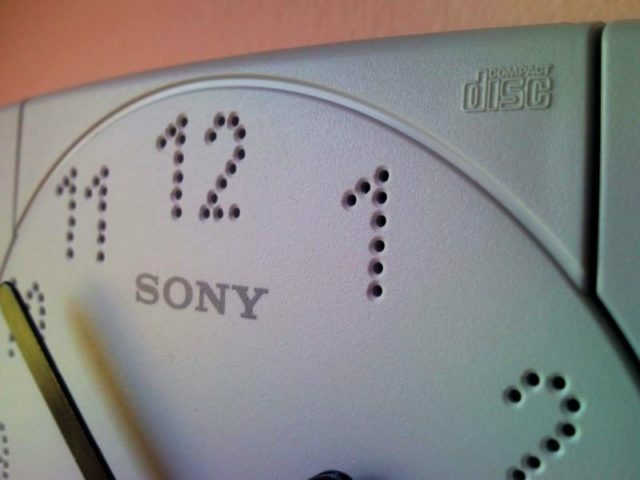 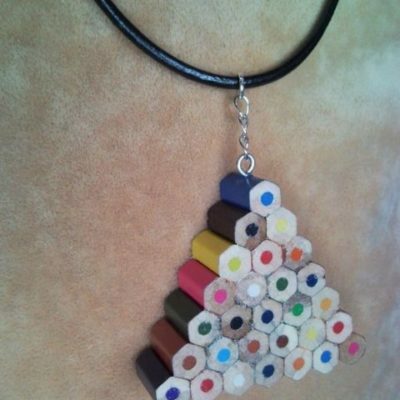 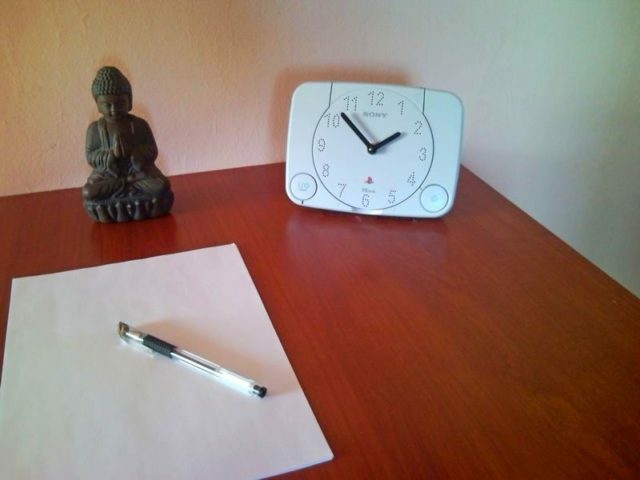 I creatively recycled this clock from the first series of Sony PlayStation console – which was the most popular game of the world – to never forget your childhood! 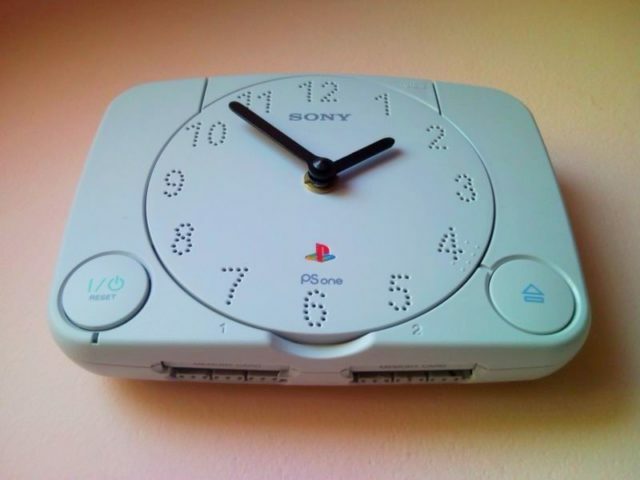 This is a newer PS1 version, smaller than the gray one. 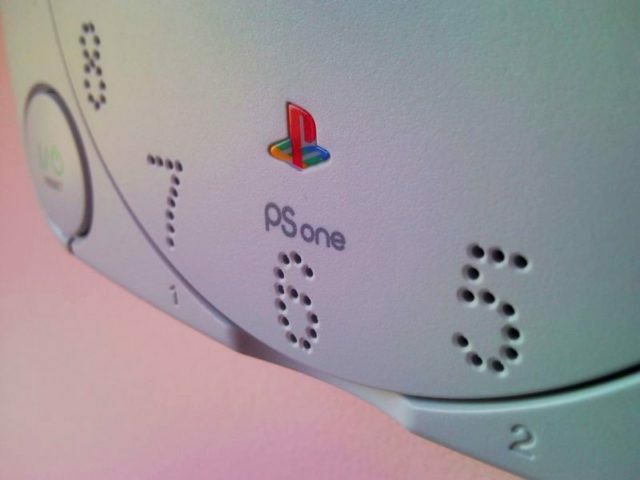 I made the numbers on the cover from small drilled holes. 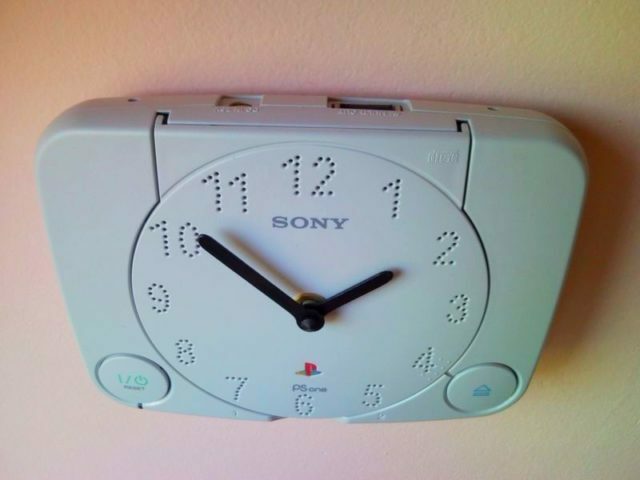 Colour of the console is white.